Hi, my name is Santi. I'm spanish but I'm gonna spent 2 months in NJ visiting my uncle. I began archery last year and since the very first beginning I shot trad bows. I currently have and shoot a 50# montana. I'll be arriving to your country next friday, so I was looking for archers who live in NJ or a club to fling some arrows. 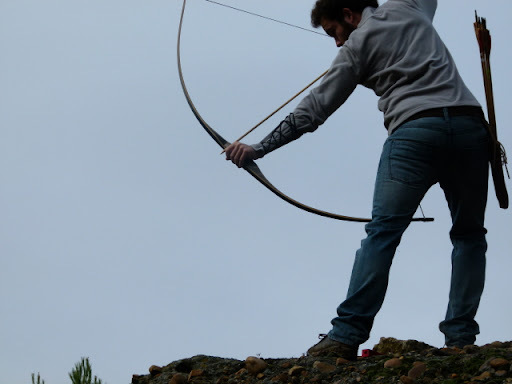 I found this site http://www.funnewjersey.com/upload_user/Different_Outdoor_adventures_NJ/ARCHERY_RANGES_NJ.HTM and found that many are quite far away from where I'll be living. WO-PE-NA archers is near but I read that they only have indoor targets and up to 18m. Also as my montana can't fit my baggage I'll buy a bow there. Preferably T/D so I can bring it back to Spain, so if you have any pointers on a good economic bow they'll be greatly appreciated. I'm going to be in Elmwood Park, I believe near there is an archery shop called targeteers, is it a good one or there are others specialized in trad gear? Re: Trad club in NJ?? Hello, Targeteers has a indoor range but mostly deal with compounds. bamboo: but I think that I read somewhere that you should pass a test to hunt in NJ, something about shooting 5 arrows to a 3d deer vitals and hitting at least 3 and a written test, is that right? cj3a: Watching the photos of their page that's what I supposed, but I don't need them to have high end trad bows. I'm not enough good shooter to tell the difference between a good bow and a not so good one. A samick or something like that is enough for me, or when I get there look for something used like ben pearson or a bear. I remember when I began shooting, in my club there was a nice longbow and I kept "stealing" it to shoot with it, it was a Ben pearson, for me it was quite a good bow. Later I found out that it cost like 50$. I didn't mind, it did the job, if I could find something like that in an auction site, I'll be happy. BowHuntz: I checked out, nice range you have there, I'll try to attend the 27th cabin fever shoot. I've got a question about the name, what does Swap meet means? So where do you guys of new jersey shoot? On your own? In a club?